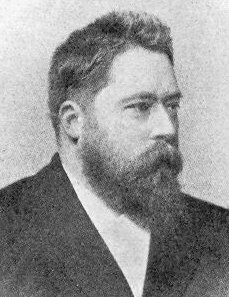 Julius Scheiner was an astrophysicist at the University of Potsdam who, in an 1891 essay, wrote on the likelihood of extraterrestrial life adapting itself to a wide variety of environments. He considered the possibility of life based on silicon rather than carbon (see silicon-based life). Of the other planets within the solar system, he thought it beyond doubt that Mercury, Venus, and Mars were inhabited, while Jupiter, Saturn, and Uranus, he decided, might be capable of supporting life. Since, in his estimation, the Sun was orbited by at least three inhabited worlds, he thought it reasonable to suppose that every other star in space should be orbited by at least one.